Thanh Tran, a serial entrepreneur and champion of Detroit’s startup community, has just launched a new venture called Kidpreneur, which is also the latest winner of D:Hive’s Pilot program. Kidpreneur will offer classes to tweens, where they’ll learn about Web design, coding, robotics, and the “lean startup” philosophy of entrepreneurship from expert instructors like Tran. Kidpreneur will take over a pop-up space currently occupied by Spielhaus Toys in downtown Detroit starting in January. In fact, Kidpreneur participants will be required to participate in a demo day, where they’ll share their startup ideas with the group. If kids learn the tricks of the entrepreneurial trade at a young age, Tran believes, that self-assurance and skill set will carry over to whatever profession the kids decide to pursue as adults. 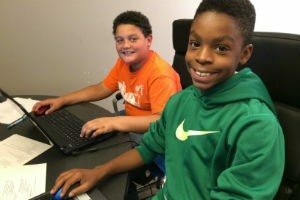 Tran has already launched the Kidpreneur program in Northville, MI, where it operates out of the Digital Roots headquarters. It’s caught on quickly there, and he hopes to replicate that success in Detroit. He recognizes that Detroit is a different market, though, and to that end, he’s offering discounts and even a grant—laptop and supplies included—to one Detroit child who applies to take classes by Jan. 2. He’ll also hold some Detroit classes during the day to accommodate home-schooled children. Classes start at $300 for a nine-week session. Kidpreneur will hold an open house from 2 p.m. to 4 p.m. Saturday at its pop-up space next to D:Hive, 1249 Woodward in Detroit.